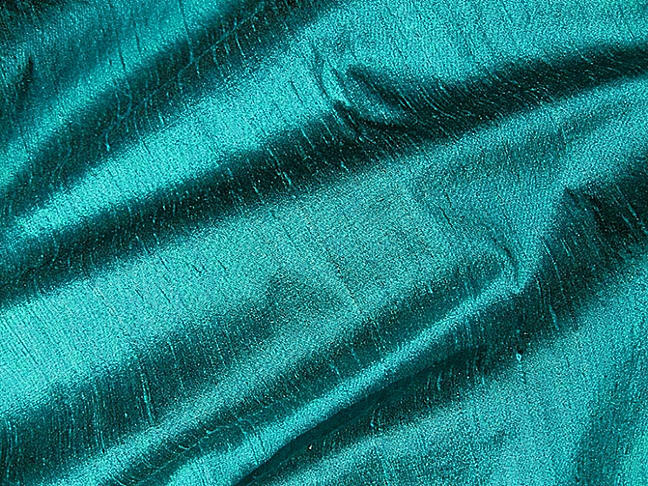 This jewel tone green teal iridescent dupioni silk fabric has cross threads of black and a vibrant teal green that in bright natural light has flashes of turquoise. 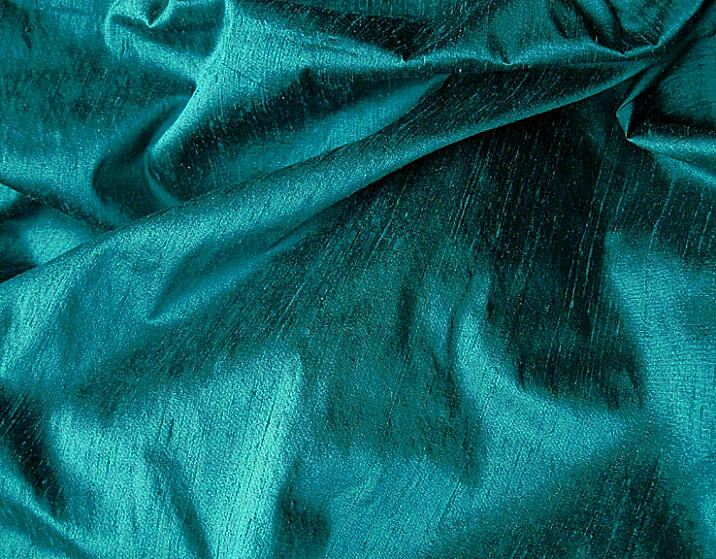 The overall appearance of the silk is a rich teal green with superb depth and contrasts provided by the black warp. 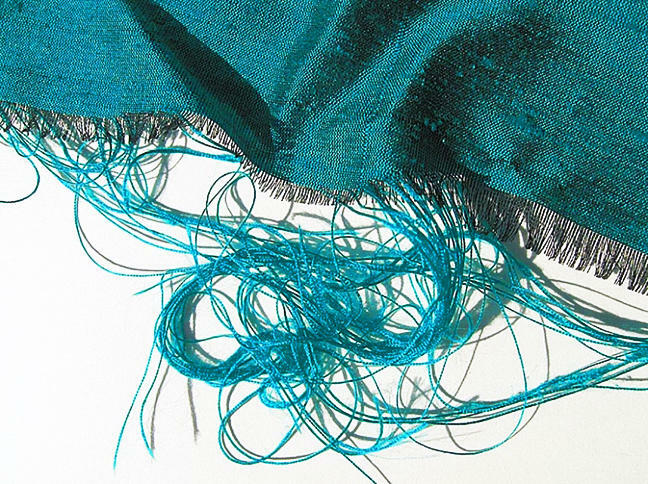 The color shown in the last image is probably closest to reality; the silk is extremely light reflective with a very high sheen, so the color can appear lighter than it really is. I have photographed a larger piece of this silk hundreds of times in a variety of natural light conditions, all without flash. The remnant is 26" wide x 12" long.